The Invitation is a one-hour performance given in the Peace Dome once each year. Preceding the performance a short film "A Life Worth Examining" chronicling the eight Nobel Peace Laureates portrayed in The Invitation. What would happen if eight Nobel Peace Laureates gathered together to discuss what makes peace? The Invitation explores this grand meeting of minds across time and space. The Invitation is an experience in consciousness. Its power is in the individual and the connections between all of us. Spanning 60 years it reveals the human urge toward compassion and reason, love and cooperation through the lives of eight people honored at some time with the Nobel Peace Prize for their life's work. Here a scientist, ambassador, judge, nun, doctor, ruler, minister, and officer worker come together to share their ideas. Their paths to peace are as diverse as the countries and cultures of their origins. Their hopes, as universal as the world they share. Their faith in humanity's ability to transcend whatever separates us to manifest a world worthy of our intelligence, is yours to share. Allowing their minds to touch your own, their thoughts to cast light on yours, brings the rich experience of reverence. 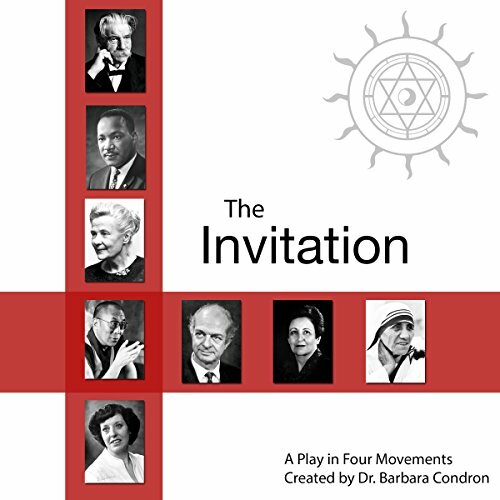 The Invitation is built on a what-if idea - "What if Nobel Peace Prize Laureates gathered together in one time and place to discuss the Universal Peace Covenant?" Music engages the audience in the Laureate experience. The dramatic film "A Life Worth Examining" which premiered in Melbourne, Australia begins your experience. This is the story of how eight diverse Nobel Peace Prize laureates, spread across time and space, made their lives the answer. The Invitation engages the heart and opens the mind to the possibilities of peace. A profound experience awaits you.